Like Brown’s first novel, Rose’s Garden, her fifth sets themes of tolerance and understanding in a picture-postcard setting. The Rope Walk brings us the dazzling story of a pivotal summer in the life of Alice, a redheaded tomboy and motherless girl who is beloved and protected by her five older brothers and her widower father, a professor of Shakespeare. On Memorial Day, at her tenth birthday party in the garden of her Vermont village home, Alice meets two people unlike any she’s known before. Theo is a mixed-race New York City kid visiting his white grandparents for the summer. Kenneth is a cosmopolitan artist with AIDS who has come home to convalesce with his middle-aged sister. Alive and Theo form an instant bond and almost as quickly, find themselves drawn into the orbit of the magisterial Kenneth. When the children begin a daily routine of reading aloud to the artist, who is losing his eyesight, they discover the journals of Lewis and Clark and decide to embark on their own wilderness adventure: they plan and secretly build a “rope walk” through the woods for Kenneth and in the process learn the first of many hard truths about the way adults see the world, no matter that they are often wrong. The great gift of The Rope Walk is its exquisitely poised writing. Alice’s narrative is a profound experience of innocence, of perception balanced between childhood and adulthood. The flying spark of new friendship, the first intimation of adult love, the consolation of devotion, which allow Alice and Theo to shed light in the midst of darkness and to find joy in mutual understanding: these glistening threads are drawn together in a timeless story — profound, deductive, wise, and moving, from first to last. Someone has said that every age feels like the most perilous to those who live through it. This is probably true, but it is also true that every sense of peril is real. The Rope Walk is the story of a friendship between two children in a small town in Vermont over the course of one summer, but it is set against the backdrop of the perilous present, where many of the world’s troubles — even distant ones, such as the tidal wave in Thailand – are brought home by television. I don’t really know why children aren’t scared to death all the time, given how terrifying the world seems – suicide bombers and hurricanes and global warming — but they aren’t. Except in the most terrible cases, of course, childhood itself and the absorbing drama of its daily concerns appears to act like an inoculant against the paralyzing fear that can grip adults watching the nightly news. This might explain why coming-of-age stories often seem timeless: the real world and the hidden, interior world of childhood are in powerful competition for the imagination of a child. 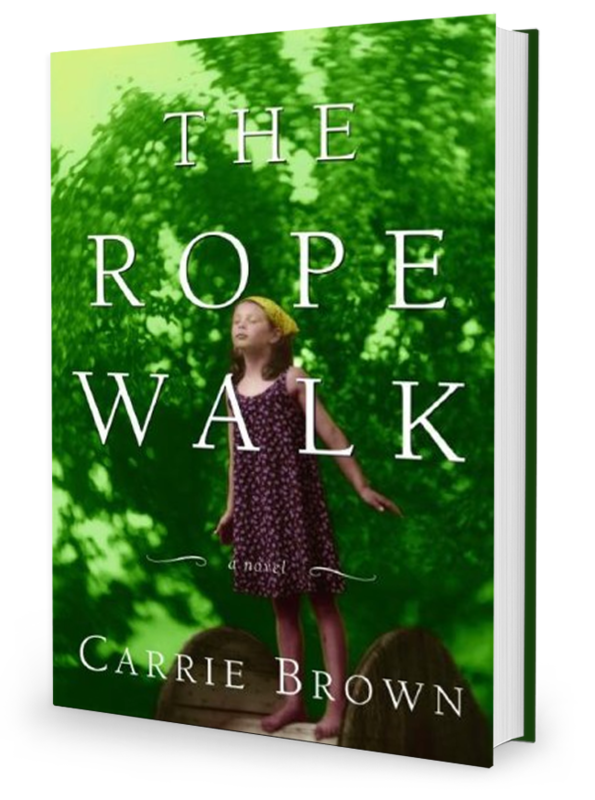 In The Rope Walk, the real world and Alice and Theo’s imaginative world collide; perhaps that’s the very definition of growing up. Iowa Center for the Book, which chose the novel as its Iowa Reads Book of the Year in 2007.